has a long history now. founded in 1993 in berlin/germany by nesjaja (E.Janowski) and Irmi Exo ,it developed from various projects at the edge of the psytrance scene to a wellknown radiostation. At the beginning there was the love to party, dance and having fun, since 1999 its more serious because chromanova started with the radiostation. The radio presents you dj-mixes and liveacts around the world within internet 24 hours 7 days a week nonstop. The main concern lies into streaming good mixes from djs and liveacts, sometimes we stream live from partys, mostly indoor. The basic principle is still the same as it was at the beginning: we play what we like! with the time the crew grow bigger, and we are proud to name djs and liveacts as our chromanova resident team, which play all over the world.at the moment we stream with two servers Psy/Progressive Trance and Chillout/Ambient, check it out! Nesjaja, Avatar Records Label Deejay based in Berlin, Germany. As DJ he has been spinning the turntables since 1998. The first time the Chillout music range was subject of his passion. 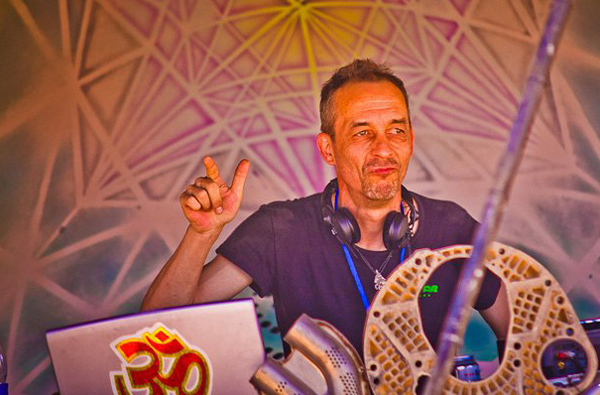 But after he has joined his first psytrance festival in 1999 he knew where his real musical home is located. For more than 10 years he provides the trance community with his psychedelic progressive or melodic full-on sound.He preferably presents the music of Chromanova.fm for which he has been standing behind the decks since 1999. Transahara 2011, Digital Waves 2011, Antaris Project, Full Moon Festival, Spiritual Healing, Gaggalakka, Underwater Overground Festival Croatia, The Fullmoonfestival 2010/2011 on the Beach Den Haag , Trance Orient Express-Time Breakers @ Amsterdam,last 5 Odyssee Sylvesterparty`s at Berlin are ranking among the most well known events he played next to many open air parties. Additionally there are countless Clubs in Germany he played as well as on foreign events: Tschechien, Croatia, Netherland, Marocco, Swiss..